Reviews are a valuable part of growing your business online because they affect not only your reputation but also your local strategy and rankings on Google. Reviews directly and indirectly impact your business’s search engine optimization (SEO). They improve organic rankings when your business is searched online and they increase engagement via click-throughs to your site. Evidence has shown that engagement, whether it be through reviews or otherwise, factors into an improved rank. Now that we’ve outlined why reviews can better your site’s SEO, it’s important to understand how. When a search engine sees your business, it also sees the entirety of your online presence in relation to your site. Reviews are one of the ways that ultimately bolster your site’s prominence on the web. The higher your business’s prominence in your industry, the better search engines will accurately rank you. Content. What is the customer saying in the review? Do they include specific keywords? Do they include your location? Do they ask a question or simply leave a comment? Is the review positive? Negative? Positive reviews from customers will improve your visibility. For example, if you receive an influx of reviews that mention your high quality service team, search engines will infer that your service team is high-quality, so it will rank you better for "service" terms. Quantity and Frequency. The more reviews your business has online, as well as your average yearly reviews year over year, will help your SEO. It’s also important to have a steady flow of new reviews every week or month. Once the ball starts rolling and more people visit your site or business, you're likely to see review frequency increase. Engagement. Responding to reviews both positive and negative creates customer value which is a factor that search engines consider. The weight between the number of reviews responded to vs. the number of reviews not responded to makes a difference. When you engage with your customer reviews, you're not only providing great customer service. You're also showcasing your company values and customer-first approach to prospects and encouraging more reviewers to leave their feedback. It’s helpful to consider that if reviews are good for the user, then they are most likely good for Google too. In other words, the more frequently and accurately your business is reviewed, the better it will perform and the more value it will add to your SEO. If you want to kickstart your business's searchability, Adpearance can help. 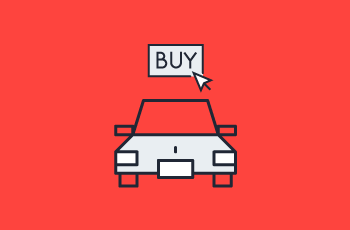 Our certified auto SEO and Digital Advertising programs put your dealership on the map, reaching the most qualified customers without breaking a sweat. Get marketing updates about the auto industry—straight to your inbox!